The organizers of this race were phenomenal. 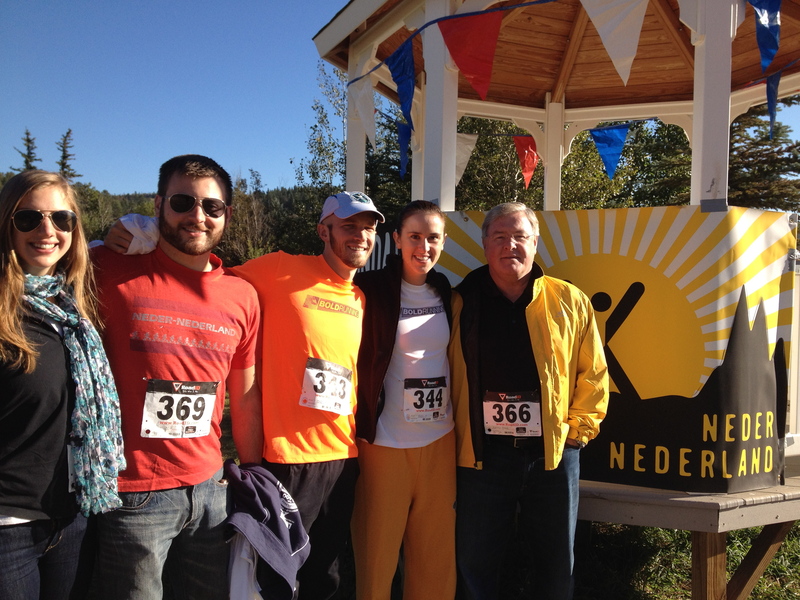 From the rustic atmosphere of the small mountain town, to the course run through old town Nederland, to the after party with homemade PB&Js and fruit galore, I loved every second of being part of the Neder Nederland 10K on Sunday. Not to mention the great dry-fit Nike tech shirt and the sweet raffle prize giveaways. My bro and his gf ran/walked the 5K, my dad volunteered at the finish line, and Weez and I raced the 10K. A family that sweats together, stays together. Nederland, CO is up in the mountains, with the race start at ~8300ft. The course is an out-and-back, with the ‘out’ part being up, up, UP the whole way. Made for a tough first half, and a speedy second half. I loved it. Right before the start, the race director announced that an Olympian was among the crowd: Naoko Takahashi, the 2000 Olympic gold medalist in the women’s marathon. Holy cow! I was literally in awe, and hoping to see her at some point. The race started and off we went! Climbing up, up, up. The first 0.5 miles were on trails, then the rest was on street, climbing towards Eldora Ski Resort. My legs felt fresh and strong, and I went into this wanting to give it my all, so I pushed it to my max. For the first 3 miles (until right before the turn around), I noticed I was in 1st place for the females. How nice of Naoko to let me feel like a BAMF for a while :) It was motivating and gave me that extra charge to be leading the way, knowing an Olympian was chasing after my tail. Around mile 3, there she went, effortlessly cruising on by me. I tried to hang on as long as I could, but goodness gracious, there’s no keeping up with her. In the course of those last 3 miles, she pulled ahead 2+ minutes on me. That’s almost 0:45/mile faster. Daaaang! Around mile 5, it was great to see my brother and his gf as they were finishing their 5K walk, and they cheered me along. Before long, the finish line was in sight and my dad cheered me in! I didn’t even have time to catch my breathe before Weez came flying in. 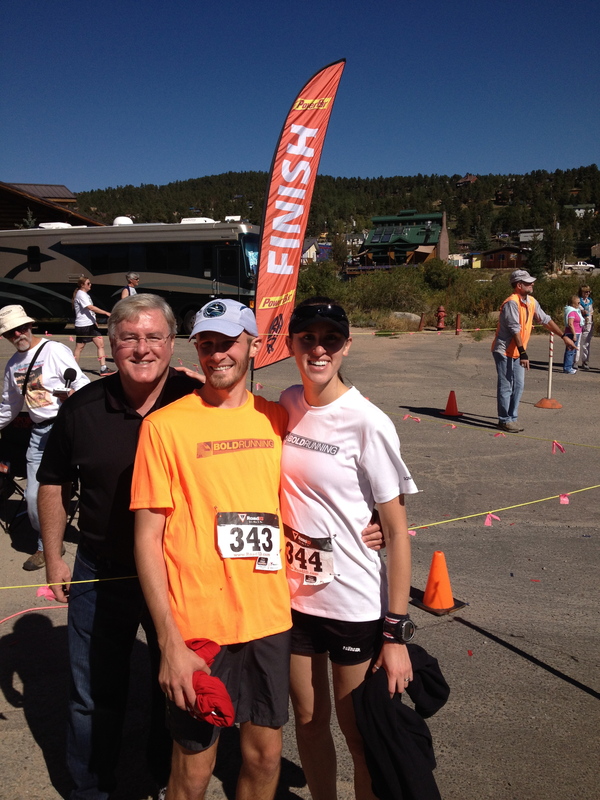 I think our training is paying off, Weez… PR’s for the both of us! 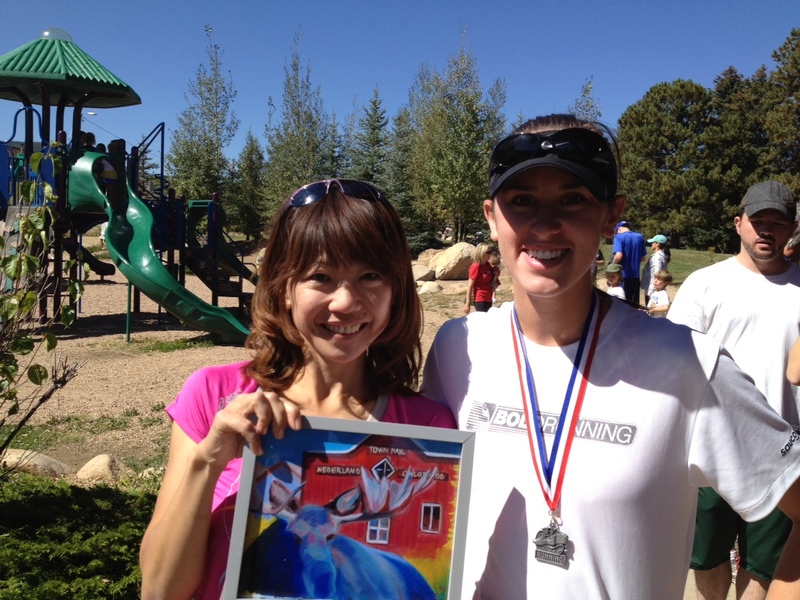 At the post-race party/food/awards ceremony, I had the chance to say hello to Naoko and thank her for pushing me along the way. She is so kind, and so cute. It was an honor to be in a race with her. With the 2000 Olympic women’s marathon gold medalist! Thanks for the great event, Neder Nederland! I can’t wait to run it again next year! Next Post We will never forget. Wow! How cool that you placed with an OLYMPIAN! LEADING then coming in second to an OLYMPIAN is super BAMF! Congrats, rock star! Second place to an Olympic Gold Medalist?! Uh, basically you won that race! Congrats, you are amazing!